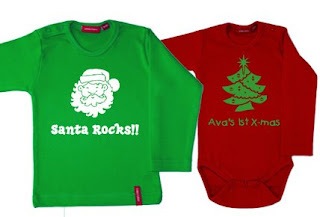 Super Hero Boy: Wanna make your own Christmas shirt? Wanna make your own Christmas shirt? Looking for the perfect gift for the kid that has everything? Want something custom for your holiday photos? Just want to try your own hand at designing a tshirt all your own? 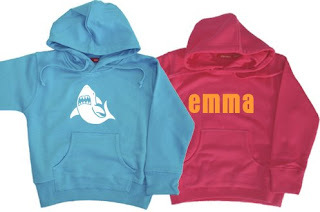 Simply Colors offers parents a whole new option in children's clothing.. you can make your own! This is not just one of those sites where you add a name to a premade shirt. Every aspect of the Simply Colors shirt is customizable.. hence the name. You pick the type and color of shirt you want to design and then everything else is up to you. Choose a phrase, choose the font, choose to have the shirt one sided or two, even add a graphic if you'd like, and if that's not enough you can even choose what color your design is printed with from glow in the dark to primary colors to even glitter! You heard me right.. glitter. I designed a custom shirt just for Connor, we did it in October but we were a little late for Halloween so I couldn't resist getting a Halloween theme going with a black shirt and glow in the dark print but who said spiders are just for Halloween? He will be wearing his new shirt all next fall and I can't wait. Though truthfully I could get addicted to making him new shirts each season as there is just something about having a custom tshirt all his own. He could have a Christmas tee, a birthday tee, something for summer, Halloween, thanksgiving, or just when we want something special for whatever reason we can think of! Though there are tons of great illustrations to choose from including holiday themed illustrations you can choose to use them or just have your shirt printed in text so if you have a special announcement or just a cute quote you want to use that's totally ok.
Wanna try your hand at being a designer? Go check out Simply Colors and just play around with their creator, you can make tees, hoodies, dresses, polo shirts, even hats!! Believe me you will find yourself wanting to order one of everything! Simply Colors is currently running a sale on big brother and big sister tee shirts go check them out!